Posted by Chris Hawkins on September 5, 2009 at 8:42 pm. Today was the first Bramley IronMum race. 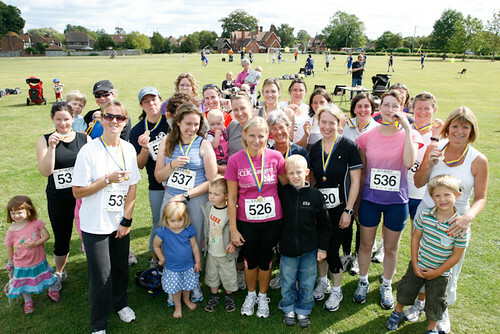 Around 25 Bramley Mums took part in either the Buns of Steel or the harder Abs of Iron race. Photos of the event are on basingstokebabyphotos.com. The race took the ladies running around the lanes of Bramley near to Basingstoke on North Hampshire. A 3 or 6 km run, followed by a 6 or 12 km cycleride, finished with a strength sprint. They are a tough lot over in Bramley!